Many know that I am drawn to artists' books of all kinds. I've even managed to collect a small number of them through various presses around the country. Among my favorite creators of artists' books is Pacific Editions, where award-winning artist-designer-bookmaker-teacher Charles Hobson produces exquisite work. Pacific Editions released last year a limited-edition accordian-style artist's book titled Quarantine (close-ups of the book are at the link). It is inspired by Eavan Boland's poem of the same title. The hand-assembled edition is limited to 42 copies, each comprising 18 pages; the images, Hobson explains, are monotypes of bundled twigs, printed as high-resolution digital prints that have been given an additional pastel finish. Both the design and images are by Hobson. Hobson created a stop-action animation showing how he and assistant Alice Shaw created the book and the box in which it is presented. The text of Boland's poem appears at the end of the video. Dublin-born Eavan Boland, who directs the creative writing program of the English Department at Stanford University (her university profile is here), has published at least 10 poetry collections, including New Collected Poems (W.W. Norton, 2009) and Domestic Violence (W.W. Norton, 2007). She co-wrote with Mark Strand The Making of a Poem: A Norton Anthology of Poetic Forms (W.W. Norton, 2001). Some of Boland's poems, translations, articles, and poetry lectures are here. The poet reads a selection of her work in this video. Hobson also created (in 2010) a 30-copy, 16-page construction inspired by W.S. Merwin's "Trees" (it sold out). You'll want to see the stop-motion video about the making of the edition. into the heart of darkness and light. once you bite in and savor the flavors. Today's edition of Saturday Sharing gives you plenty of reasons to stay online and increase your brain power. Start with the more than 400 free online courses listed at Open Culture or with TED-Ed, then go look for a writer in a map or check out some "Top 10" lists. Just don't let the robot show you up! ✦ If you've never visited Open Culture, here's one very good reason to do so: You don't have the time to put together a compilation of 425 free online courses from top universities. ✦ If you like "Top 10 Lists", you can get your fill of them at The Criterion Collection, which each month asks a filmmaker, writer, actor, artists, or programmer to select their 10 favorite movies from those available from the film publisher. All of the lists to date are here. The site also features essays, videos, interviews, and film features. And, speaking of what's tops, be sure to visit TweetSpeakPoetry for its regularly featured column "This Week's Top 10 Poetic Picks." The blog also issued "The Unofficially Official List of Top Poetry Sites" to help you find the best Websites for all things poetry. ✦ "Lessons Worth Sharing" is the tag line for TED's latest offering, TED-Ed, which aims to "capture and amplify the voices of the world's greatest educators" who are paired with animators to produce educational videos. The site's definitely worth visiting! 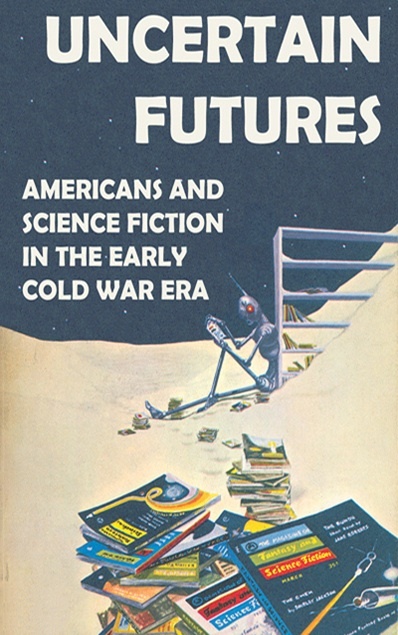 ✦ Don't miss the compelling online exhibition "Uncertain Futures: Americans and Science Fiction in the Early Cold War Era", organized for the Special Collections and University Archives of the W.E.B. Du Bois Library at the University of Massachusetts/Amherst. Its curator Morgan Hubbard, now with David R. Godine Publisher, describes the virtual exhibition as "a useful starting point for both casual readers and historians interested in science fiction or the intersection of history and popular culture" and "a serious historical argument, based on primary source research, in a novel and engaging format." ✦ Congratulations to well-known local artist Rosemary Feit Covey whose work recently was acquired by Georgetown University Library. More than 500 of Covey's wood engravings will be added to GU Library's permanent collection, which contains more than 15,000 fine prints, including work by Grace Albee, Lynd Ward, and Barry Moser. The library plans to post on its Website sometime next year images of the entire Covey acquisition. 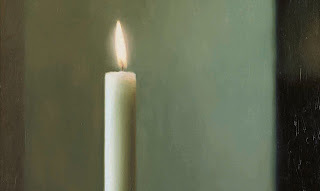 The South African-born Covey, who currently resides in Virginia, exhibited in March at Morton Fine Art in Washington, D.C. Her work is in a number of very fine public collections, including those of the New York Public Library Print Collection, Corcoran Gallery of Art, Dartmouth College, and Princeton University. ✦ A year-long celebration to honor the historic and contemporary contributions of women of Taos is underway. The Remarkable Women of Taos includes profiles of "legends" such as Mabel Dodge Luhan and Frida Lawrence, as well as artists including Bea Mandelman and Agnes Martin. There's a lot to explore on the dedicated Website. A list of exhibitions is here. A 22-minute episode with some remarkable women in arts, education, sports, and business may be viewed in the Video Gallery and on YouTube. ✦ If you've been considering an art residency or retreat, take a moment to review these top 20 selections compiled at ArtInfo. ✦ More than 1,000 interviews, dating from 1981 to the present, including conversations with artists Richard Serra, Sol Lewitt, and Sonia Delauney, are available at BOMB. Fita | Llum i color. Vitralls 1956-2011 from Kromatika on Vimeo. ✭ Save the Date! On May 21, the Virginia Museum of Fine Arts opens "Maharaja: The Splendors of India's Great Kings". More than 200 objects, dating from the early 18th Century to mid-20th Century, will be on view in the exhibition, which examines the maharajas' patronage of the arts in social and historical contexts. On view through August 19, the exhibition is the only East Coast venue for this presentation of royal jewels, armor, decorative arts, paintings, and other objects. ✭ The Institute of Contemporary Art/Boston continues through May 20 the group show "Figuring Color: Kathy Butterly, Felix Gonzalez-Torres, Roy McMakin, Sue Williams", comprising more than 60 works, including ceramic sculptures, in which color and form are used metaphorically to represent the body as vessel, pure color, abstraction, line, field, allegory, tactile, and surface. Senior curator Jenelle Porter introduces the exhibition in two videos found here. A catalogue accompanies the show, as does a documentary that gives viewers a peek inside Butterly's, McMakin's, and Williams's studios. ✭ In Phoenix, Arizona, the Heard Museum has mounted "Beyond Geronimo: The Apache Experience", on view through January 20, 2013. Part of the Arizona Centennial Legacy Projects, commemorating the 100th anniversary of Arizona's statehood, the exhibition presents work from the museum's collection, as well as historic artifacts and fine art from the collections of the Smithsonian's National Museum of the American Indian, Allan Houser Inc., Arizona Historical Society, Amerind Foundation, Autry National Center, Oklahoma Historical Society, and several other public and private institutions and collectors. Personal possessions of Geronimo, as well as ephemera such as movie posters, are included as well. 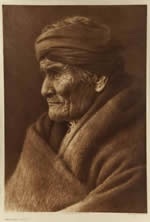 Image above right: Geronimo - Apache, Age 76, taken day before Geronimo participated in Theodore Roosevelt's inauguration, 1905, Edward S. Curis; Heard Museum Collection. ✭ London's Wellcome Collection is exhibiting through June 17 "Brains: The Mind as Matter", featuring more than 150 artifacts, including real brains (! ), artworks, manuscripts, videos, and photographs. The online image galleries include Measuring-Classifying, Mapping-Modelling, Cutting-Treating, and Giving-Taking, each a fascinating collection. There's also an interactive feature, 360 Degree Brain, that lets you explore the external surface of a real brain, and Axon, a game in which you can grown your neuron and connect new brain regions. There needs to be a human element in the making of these things. Joel Bukiewicz was a writer who became a knife-maker and ultimately found himself a purveyor of high-quality hand-made wares to the "food world" of Brooklyn, New York. Before "hitting the jackpot" that landed him in the midst of that community, he had to learn what differentiates skill from fine craft; in the process, he discovered his life's purpose and meaning. In this 10:17-minute film from Made by Hand, Burkiewicz speaks frankly about what he discovered during his quest to fulfill his need to "make creative offerings" daily. Bukiewicz's company is Cut Brooklyn, which holds "knife skills" classes and open workshops on Saturdays. The Brooklyn-based Made by Hand series is a project of the Bureau of Common Goods, a film and digital content studio that "tell[s] stories and create[s] experiences (mostly with film) that both educate and inspire." According to its About description, Made by Hand was "created out of the belief that the things we collect, consume, use, and share are part of who we are as individuals. . . [and] aims to promote that which is made locally, sustainably, and with a love for craft. . . ."
Currently, the locally made films in the series include, in addition to The Knife Maker, The Beekeeper, The Distiller (the first release in the series), and The Cigar Rollers. My thanks to Curator magazine from which I first learned about Made by Hand. when hung on the wall. Swiss-born tapestry weaver Silvia Heyden (b. 1927) is the subject of Kenny Dalsheimer's beautiful, award-winning documentary A Weaverly Path, the trailer for which is below. The film, which follows the artist over a year, allows us an intimate look behind Heyden's "weaver's eyes", into her artistic philosophy and inspiration and creative process, from design to choice of yarns to weaving and finishing. Heyden, who calls the Eno River in Durham, North Carolian, her "partner", exemplifies how deep observation of surroundings becomes internalized and released through art. Heyden, who has woven more than 800 tapestries over the last 50 years, is the author of The Making of Modern Tapestry, My Journey of Discovery*. A Weaverly Path Trailer from Kenny Dalsheimer on Vimeo. The 62-minute film has been released on DVD (purchase information). * Check with Fine Fiber Press for availability. in a single candle's light. up before eastward to Zion. stilled, and He is silent. I was privileged to attend on Sunday, April 22, Yom Ha'Shoah, Northern Virginia's 2012 Holocaust Observance. Much about the event stays with me. . . the sounding of the shofar, the voice of the cantor and choir singing "Yesh Kochavim" ("There Are Stars")* and "Even When God Is Silent", the reading of stories of those forced into slave labor and of the acts of the Righteous. What moved me especially was the presence of 17 Holocaust survivors who participated in the lighting of candles (each candle representing one million Jews who died in the Holocaust). After lighting candles one through four, the children of other survivors or survivors' grandchildren lit the fifth candle, while honored guests gathered to light the sixth. My poem comes from watching that ceremony of remembrance, the heavy rain that afternoon like so many continually falling tears. * My lines "What light fell then / burned long after their star / was gone" are a variation on these lines from "Yes Kochavim": "There are stars up above so far away we only see their light / Long, long after the start itself is gone." but to make discovery more enjoyable. . . .
Who knew books have "genes"? Or could be reduced to thousands of data points? According to the project site, every book produces 32,162 genomic measurements (data points such as setting, pacing, dialogue) that can be identified, classified, tracked, compared with other books, and studied to produce personalized ratings-based reading recommendations. 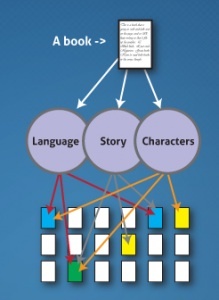 The idea is to match books' content (not, for example, a reader's purchase history or writer popularity) with readers. The results obtained with the technically complex algorithms are applied at BookLamp, the project's non-commercial "public face", a book-discovery search engine that helps connect readers directly to the kinds of books they enjoy reading. (See the FAQ section at BookLamp for information about the technology. Also see "Understanding the Book Genome Project" on BookLamp's blog.) A reader receives a list of suggested books to discover by going to BookLamp's Homepage and entering an author's name or book title in the search box, or by browsing by StoryDNA, Author, or Genre (currently, fiction and nonfiction). It costs nothing to use the tool. A book has to have been issued by a publisher working with Book Genome to be in BookLamp's database. The project, which frankly admits it needs more books in its database to reach its potential, is actively soliciting publishers' participation to help reach its goal "to make all books discoverable". 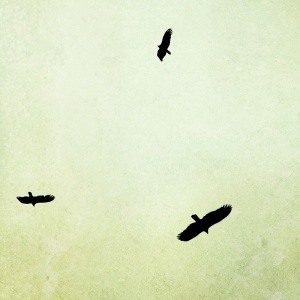 for each to see the other whole against the sky. If you're just browsing today's edition, be sure to not miss the The Lively Morgue, No Mind, or the animation of a Wislawa Szymborska poem! ✦ The New York Times now has a marvelous Tumblr site for its extraordinary images archive: The Lively Morgue. Read the About page to gain some perspective on just how large the archive is: "If we posted 10 new archival pictures every weekday on Tumblr, just from our print collection, we wouldn't have the whole thing online until the year 3935." Best to start looking now! Prints of the images are available to purchase. ✦ In case you missed it, go here to read the first online poetry issue from the nonprofit, bi-annual lit journal Barrelhouse. Be sure to take a moment to explore the other online offerings, too. ✦ Are you a thinker looking for like-minded souls? Check out Christian Jackson's No Mind site, which describes itself as "a thinker's blog dedicated to the faculty of wonder. . . an attempt to see the world through the magician's eyes. . . ." Jackson is a graphic designer; take a moment to visit his Square Inch Design Blog. 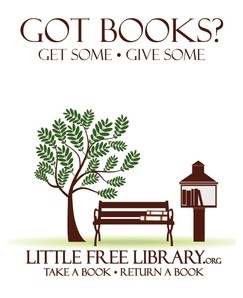 ✦ If you love books, you'll also love Little Free Library, where you'll find images of all shapes and sizes of libraries and an invitation to order a one-of-a-kind mini library of your own or start with a pre-constructed model and add your own artwork. The site also includes plans and tips for building a little library. ✦ Below is an animation of the poem "Advertisement" by the late Polish poet Wislawa Szymborska, winner of the Nobel Prize in Literature in 1996. The poem is read by Flora Coker. The video is included in the Poetry Everwhere series from the Poetry Foundation. ✦ Korean artist An Min Jeong (b. 1981), who lives and works in Seoul, creates marvelous artworks using her own body measurements. Be sure to visit all three of her online galleries. For each piece the artist describes how she creates her intricate, finely drawn body portraits using signs and symbols and what she is illustrating. She'll leave you in awe. ✦ The Education and Community Programs department of Walker Art Center recently partnered with Minnesota Artists on a monthly series of personal essays, interviews, and exchanges with and by local artists. The series, titled "The Family Business", shines a light on "the lived experience of Minnesota's working artists", allowing them to speak in their voices about "the day-by-day juggle of art-making with the rest of their responsibilities." You'll find the first, second, and third installment on "Motherhood and Being an Artist", on the Walker's ECP blog; a group of exceptional photographers is involved. ✦ For the odd, the unusual, the little known, and the just-plain-fun, check out the Walker Art Center's engaging Art News from Elsewhere roundups. ✦ San Francisco photographer Sharon Beals travels the world to capture the beauty of birds and their nests. A collection of her gorgeous images has been published in Nests: Fifty Nests and the Birds That Built Them (March 2011), available from Chronicle Books. (See preview below.) You'll want to spend some time on her Website! Prints of Beals's images are available for purchase. ✭ At The Dayton Art Institute, 45 works by 48 contemporary artists are featured in "Changing Landscapes". On view through June 17, the exhibition is described as "a snapshot of how three generations of artists working in fiber media are documenting, navigating, and responding to the tremendous economic, political, and social changes that have transformed China over the past decade." Five Panels, Each 14" x 32"
✭ Next month, the Museum of Contemporary Art in Los Angeles opens "Ends of the Earth: Land Art to 1974". The historical-thematic exhibition, which runs from May 27 to August 20, aims to provide an overview of the Land art movement by presenting more work by more than 80 artists and projects from North and South America, United Kingdom, Japan, Israel, Iceland, Northern Europe, and Eastern Europe. An illustrated catalogue will accompany the exhibition. Currently on view at MOCA is "Cai Guo-Qiang: Sky Ladder" for which the dramatic creation of a gunpowder drawing is show in the video below. Be sure to browse through the informative blogposts at the link. Cai's work, which I have seen, is conceptually compelling and thought-provoking. I find his gunpowder drawings to be fascinating. ✭ Graphite drawings and a single monumental sculpture, Trace of a Fictional Third (see image below), by Syrian-born Diana al-Hadid is on view through September 2 at the Virginia Museum of Fine Arts. The marvelous, complex sculpture, seen in additional images here, reflects al-Hadid's interest in the themes of time and motion and her influences, including Biblical and mythological narratives. It is on loan to the museum courtesy of The George Economou Collection. 120" x 240" x 156"
I work with words. I work with things. the labyrinth of the book. Widely exhibited cross-disciplinary conceptual artist Harriet Bart (b. 1941) draws her inspiration from the written word, which she often combines with bronze, stone, wood, glass, metal, or everyday and found objects to create what she calls "visual poetry": often moving narratives that show us how to carry the past into our present and future by marking experience through memory or remembrance and commemoration. Her re-purposing as art of books that otherwise would be consigned to trash reaffirms how words, when preserved, let us tell ourselves stories again and again. Her Requiem, for example, is a series of scrolls on which are inscribed the names of American soldiers killed in Iraq; her Drawn in Smoke recalls the deaths in 1911 of 146 garment workers in New York City's Triangle Shirtwaist Factory Fire; her deeply eloquent Eulogy, a mixed media piece, evokes "the presence of what cannot be communicated" with blood-color-stained pages from a book Bart has placed on a vintage litter (used on a battle field to remove the wounded); the installation includes a used army gear bag and a stack of sacred texts. Bart's work is at once personal and universal in its meaning. Hear her talk about her art in the Minnesota Original video feature below. A founding member of Traffic Zone Center for Visual Arts, Minneapolis, Minnesota, Bart is a curator and lecturer as well. She is represented by Babcock Galleries, New York City. Her work is in the collections of the Library of Congress, National Gallery of Art, National Museum of Women in the Arts, Miami's Sackner Archive of Concrete and Visual Poetry, and other public and private collections. Harriet Bart's Drawn in Smoke - Triangle Shirtwaist Fire Centenary (2010), comprising 160 drawings, created with smoke and soot, that bear the names of the 146 garment workers who died in the New York City sweatshop fire. Harriet Bart's Garment Register (2001), an artist's book based on an installation that honors "the lives of generations of anonymous women at the heart of the fabric of modern America", at Joshua Heller Rare Books. Harriet Bart's Winter Projects, published by Walker Art Center Library. completely control it. It's that little bit which makes it alive. . . .
For the late ceramics sculptor and teacher Pamela Mei Yee Leung, clay held magical properties; it evoked the stories of Chinese mythology, the meaningful symbolism of animals, the morals of Western folk tales, the influences of astrological signs, the wisdom of the ancients. It was at once both playful and serious. More than a tool, more than a means to creativity, clay, in Leung's hands, held the essence of the artist's own deeply expressive self, what she describes as her feelings about human character. I suppose our whole process of life is about transformation. In the wonderful and moving video interview below, Leung talks about her recurring cancer, the transformative power of clay, and how she used her art to dream the imaginary into passionate life. Pamela Leung was born in 1962 in Hong Kong. She lived, trained and studied, and worked in Great Britain for many years, and exhibited extensively in the United Kingdom and abroad, in solo and group shows (information about her exhibitions, teaching, lectures, residencies, workshops, and many features in publications is listed here). She died in October 2011, following more than a decade of illness with cancer. In addition to her porcelain sculptures for which she used hand-mixed clay and the coiling method, Leung worked in bronze. Her ceramics were high-fired and known for their beautiful glazes. when the news is bad. become such a big deal. The Web-based portal The Poetry Station wants viewers to experience poetry through music, film, animation, and readings. Started in 2009 with the award of a grant from the Arts Council of England, the site, a project of English & Media Centre, needs your help to become self-sustaining. Below are several examples of video features you'll find at The Poetry Station. If you enjoy what you see, let The Poetry Station know (go to Contact to send an e-mail). The site won a 2011 BETT Award in the Digital Collections and Resource Banks category. Currently, The Poetry Station features classic, modern, and contemporary work by a diverse selection of poets, including, for example, Maya Angelou, Simon Armitage, William Blake, Leonard Cohen, Hafez, Seamus Heaney, Tony Harrison, Naomi Shihab Nye, Jo Shapcott, Tomas Transtromer. See the list of titles here. 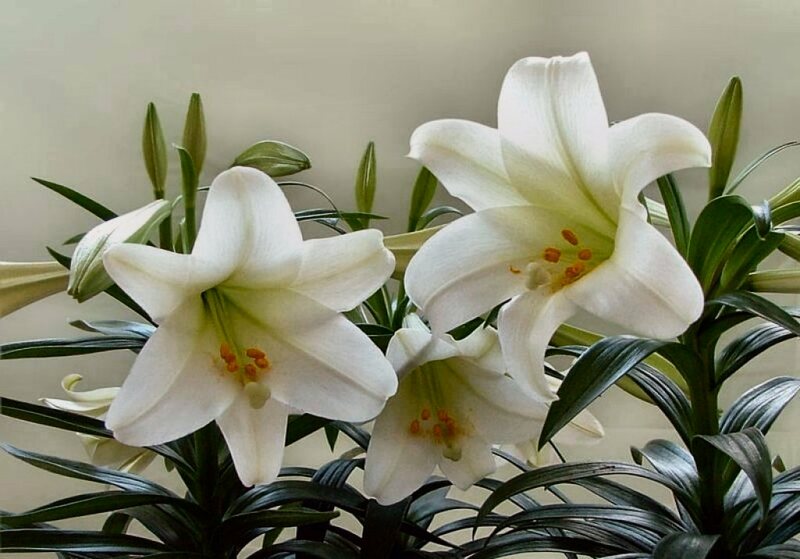 Inner silence is that feeling of reverence for life. It is a feeling we can carry with us no matter where we go. . . .
connection. Outer silence can recharge . . . inner silence. . .
[fill you] with gratitude and patience. . . . In today's new edition of Saturday Sharing, you'll want to get interactive with the Ghent Altarpiece, which now has its own site; have fun with visual poet David (Jhave) Johnston's "prototype mashup machine"; listen to a Weekly Reader talk with a Minnesota writer; browse Map Literary for interesting new visual art finds; say "Hey to Michel Foucault"; and visit a post office with Kristoffer Tripplaar. ✦ Here's a Tumblr site for Foucault fans: Hey, Michel Foucault. ✦ Washington, D.C., native and widely published photojournalist Kristoffer Tripplaar, who says he's always been "truly fascinated" by how mail reaches its destination, has created a site he calls The Post Office Project. You'll find there his wonderful photographs of post offices, which he documents in imaginative and often unexpected ways, finding beauty in details, revealing a bit of quirky irreverence, and, at times, tugging at the heart. 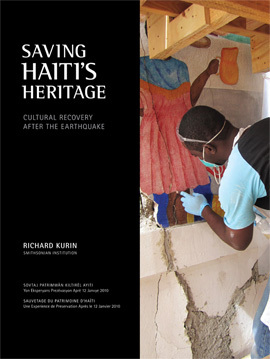 ✦ Smithsonian Folkways has published Richard Kurin's Saving Haiti's Heritage: Cultural Recovery After the Earthquake, which documents the Haiti Cultural Recovery Project's rescue, recovery, safe-guarding, and restoration of Haiti's historical documents, treasured artworks, and other cultural artifacts. Sales of the book support the project. A free pdf for educational purposes is available here. ✦ With support from the Ford Foundation, Agnes Gund AG Foundation, Dorothea Leonhardt Foundation, and private supporters, the nonprofit Word Above the Street's Water Tank Project is aiming to promote awareness about our global water supply by turning several hundred New York City roof-top water tanks into artists' canvases. As many as 300 water tanks will be "wrapped" with original artwork by Andy Goldsworthy, Ed Ruscha, Cathy Opie, Carrie Mae Weems, and other participating artists and be on view for 12 weeks. Apps and Web-based multimedia will make the public art project available to anyone. ✦ The Art & Ag Project of Yolo Arts is fostering collaboration between artists and farmers and helping raise awareness about the importance of preserving "working landscapes", promoting sustainable agriculture, and recognizing the community benefits of supporting visual arts. This article details the project and the involvement of the National Endowment for the Arts. Yolo Arts has received an ArtPlace grant in support of the project. ✦ Looking for a job in the arts? Check out the Americans for the Arts Job Bank. ✦ I've had the pleasure of meeting Jiyoung Chung and seeing in person her beautiful Joomchi papermaking artistry. Take a look at some of her work in her online gallery. She now has a book, Joomchi and Beyond, in which she explains the innovative method she developed for using the traditional Korean technique of paper felting. ✦ Ground on the National Mall was broken in late February for what will become the Smithsonian Institution's National Museum of African American History and Culture. The opening date is 2015. In the video below, Jeffrey Brown of the PBS News Hour Art Beat talks about the importance of the museum with Isabel Wilkerson, author, The Warmth of Other Sunds: The Epic Story of America's Great Migration. Watch African-American Museum an 'Opportunity for Understanding' on PBS. See more from PBS NewsHour. ✭ At Nancy Hoffman Gallery, New York City, Lynn McCarty's abstract oil-on-aluminum paintings are on view from April 26 to June 2. Images of recent work may be seen here. ✭ The Queens Museum of Art is exhibiting "Frank Oscar Larson: 1950s New York Street Stories" through May 20. Larson (1896-1964) was a banker who spent his weekends shooting street life in China Town, the Bowery, Times Square, Central Park, and other sections of New York City. The photographs in this exhibition comes from a cache of negatives discovered in 2009. A video report on the exhibition is here. ✭ The Seattle Art Museum offers "Picturing the Artist" through July 1. The exhibition, which highlights painters, sculptors, writers, dancers, and photograhers, includes self-portraits by Lee Friedlander and Imogen Cunningham, Walker Evans's portrait of writer James Agee, Bruce Davidson's portrait of Andy Warhol in his studio, Arnold Newman's shot of dancer and choreographerr Martha Graham, and Mary Randlett's portraits of painters Kenneth Callahan, Jacob Lawrence, and Mark Tobey. On May 5, poet, writer, and editor Maya Stein turns 40 and plans to begin riding the first 40 miles of her 40-day "Type Rider" project, a typewriter strapped behind her. Her journey, which will carry her from her home in Amherst, Massachusetts, to Milwaukee, Wisconsin, birthplace of the typewriter, will include stops in numerous communities, where Stein will set up her "mobile typing booth" and invite the public to contribute to a collaborative piece of writing. Her project goal, Stein says, is two-fold: "to bring people together through the written word, and to do so in a way that's collaborative yet personal, free-form yet structured, and also offers a shared space for different viewpoints and voices, and to deliver a mobile, tactile, interactive, and accessible platform for creative expression to people of all writing levels." In the video below, Stein describes what she hopes to accomplish by "Cycling the Great American Poem". Seeking to fund her project through Kickstarter, Stein needs to raise at least $15,000 by April 23. The instruments, they don't belong to me. They belong to nature. The unique and beautiful music produced by carved ice is a wonder. Just listen to this excerpt from the 45th Ice Music Festival held in 2010, where Isungset and his group performed under harsh conditions in a cave fashioned from a glacier near the site where the Iceman Otzi was found. The instruments, which include a gorgeous harp, a drum, and a horn, the ice for the latter made from ice from a glacier in South Tyrol, Italy. * Hear excerpts from the album Iceman here. Note the additional selections in the sidebar. There is much to explore on Isungset's Website, where you also will find a number of sound samples and ice music videos. All-Ice Records is an independent music company founded by Isungset in 2005. At the site, you will find information about the ice harp, ice horn, ice trumpet, ice didgeridoo, ice guitar, ice fiddle, and other instruments made from ice; the artists; and recordings available for purchase. Terje Isungset on MySpace also includes samples of ice music. Terje Isungset will be participating in the Kennedy Center's "Nordic Cool 2013" in Washington, D.C.
once you pull away the rind. Nothing prevents poetry in a room with Billy Collins. Billy Collins (b. 1941), two-term U.S. Poet Laureate (2001-2003) who also has served as a "Literary Lion" of the New York Public Library, is one of America's most prolific and popular poets; he can count on hundreds and hundred, even thousands, of fans packing a reading. To his credit, Collins has embraced the numerous opportunities that technology provides to deliver a "recommended daily allowance" of poetry to those of us who demand a serving with our breakfast, lunch, and dinner. Below, with Collins reading, are two animations from the nearly dozen the "action poet" has created. These shorts are in addition to Collins's audio recordings, which include The Best Cigarette. * Quoted from this transcript of a conversation between Cavalieri and Collins, conducted at the Library of Congress in December 2001. Also see this NPR feature, "Collins Values Approachable Poetry, Not Pretension", April 6, 2011. Billy Collins is now featured in Smithsonian magazine, for which he serves as "poetry consultant". See his reading of "The Unfortunate Traveler". This is my response to a photo prompt challenge at dVerse Poets Pub, where writers have a choice of images on which to base a poem. Go here to read about the prompt, view Maryland-based Tracey Grumbach's images, and drop a link to your own contribution. as if for us all. and poetry is a conversation with yourself.